Basic Man aims to send men basic essentials on a monthly basis. You’ll get a new shirt, pair of socks, and underwear in each shipment. This box is sent for review purposes. (Check out the review process post to learn more about how we review boxes). The Products: New basic everyday essentials for men. This month’s package features a v-neck shirt – only the second time I’ve received one – plus, some bold color boxers. This is more of a “shallow” v-neck (is that a term?). It still has that same softness – and as someone who hates wearing a v-neck shirt, I actually liked this one. It fits pretty true-to-size, and while it’s pre-washed, it does seem to shrink a tiny bit after the first wash in my experience. The socks have become my favorite part in this super cold weather. 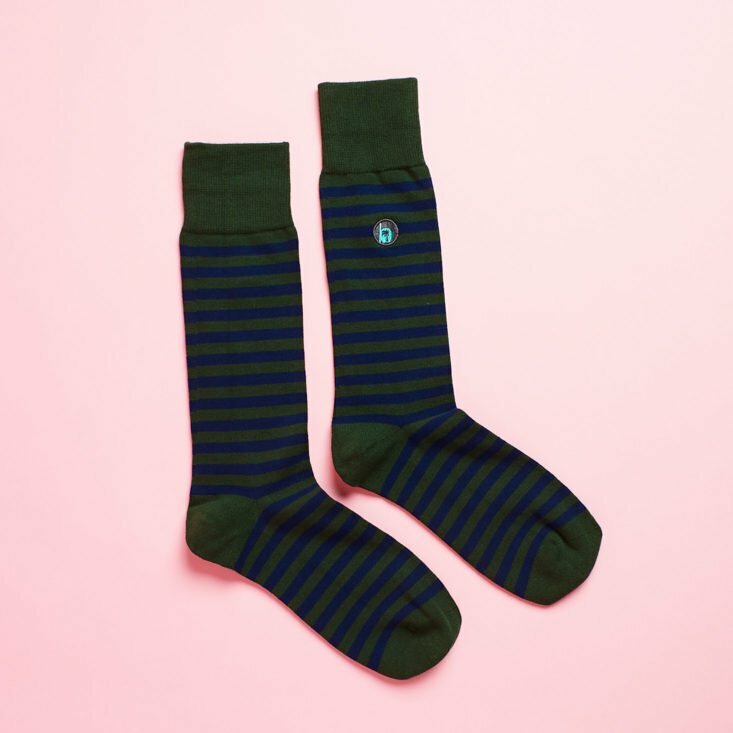 I’ve been actively seeking these out in my sock drawer – they stay up better than any other socks I have and are nice and warm. Basic Man made a few changes to their underwear line towards the beginning of this subscription and have held steady since. They have a silky feel to them and are tagless – they’re very comfortable. Verdict: This subscription consistently crushes it for me with their basics – and the cost always comes with great value, too. This is a great subscription for any age group – do you gift this subscription or subscribe for yourself? Can I still get this box if I sign up today? The monthly shipments won’t always be the same items as mine – so you can order anytime. Check out all of our Men’s Clothing Subscription Boxes in the Subscription Box List. Rate, review, and follow this subscription on the Basic Man profile page. What do you think of my January Basic Man subscription? How do subscribers rate Basic Man? Do you subscribe to Basic Man? Add your rating now! No, the boxers were still the longer length – hope that helps!